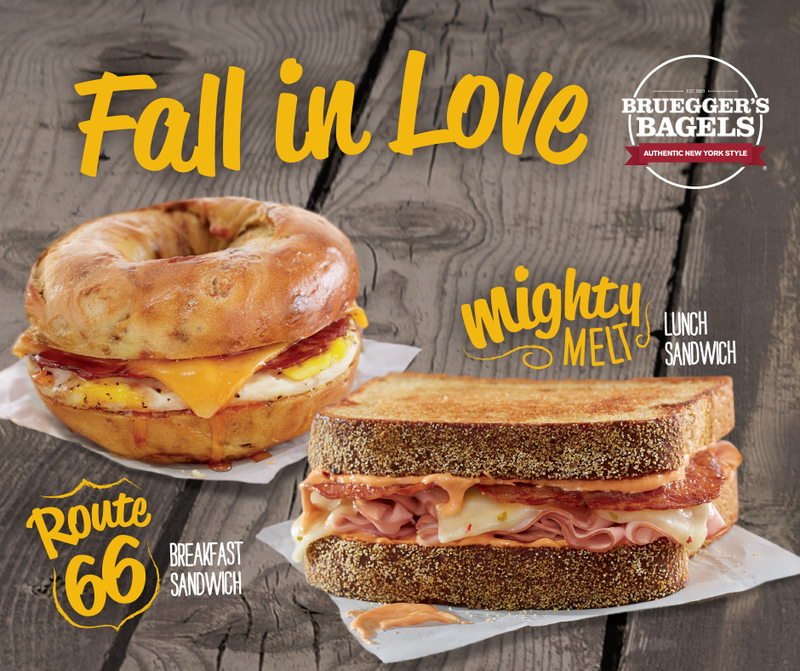 The 2,500-mile stretch of road from Chicago to Los Angeles, the famous Route 66, is the inspiration for Bruegger’s Bagels’ new fall menu, featuring items reminiscent of a small-town roadside diner breakfast or lunch, with a unique, craveable, Bruegger’s Bagels twist. The Route 66, with all the flavors of a classic American breakfast, starts with a fresh-cracked egg and piles on hickory-smoked bacon, cheddar cheese and spicy Sriracha maple syrup, all served up on a new French Toast Bagel, with hints of cinnamon, maple, nutmeg and vanilla. 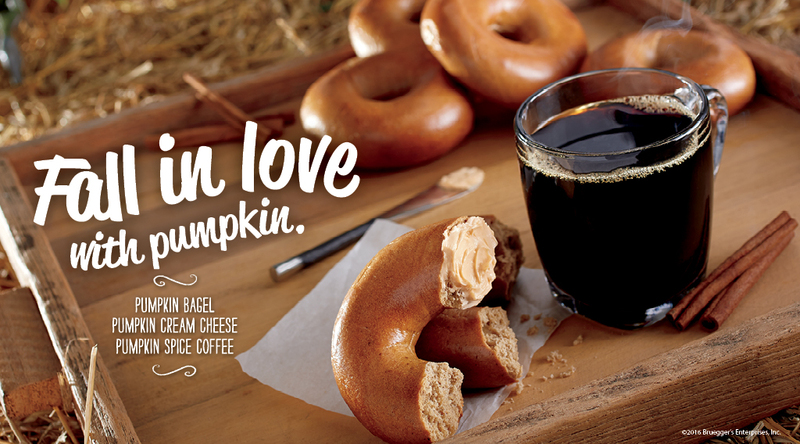 New bagels this season, in addition to the French Toast Bagel, include the returning Pumpkin Bagel, with its autumnal flavors and aromas of cinnamon, nutmeg, ginger and allspice. Guests will have to wait until after Thanksgiving for the Orange Cranberry Bagel, with sweet orange and tart cranberry that evoke memories of holiday-season classics.